For years the BlackBerry was the ultimate business mobile, but a decision to pull away from making phones as the business was left in the wake of competitors surely spelled the end. Maybe not. Has BlackBerry successfully risen again? THERE used to be an uncomfortable air of envy hanging across many boardrooms when Canadian phone maker Blackberry was in its pomp, little more than a decade ago. Anyone who whipped out the latest model mid-meeting instantly looked like they knew what they were doing. It didn’t just make phone calls, it processed emails, and connected you to your diary like a pocket-sized personal assistant. It stood out from any other device due to its miniature keyboard – and that, unbelievably, was the main reason for the chronic phone envy that permeated almost every level of the business world for years. It was virtually untouchable at the top of the mobile phone food chain. Then, all of a sudden, came the iPhone, and a new pack leader emerged to challenge for the alpha role. It did everything the BlackBerry could do. Trouble was, it could also do everything the BlackBerry couldn’t. Before long, Samsung, Nokia, Motorola, Sony et al were producing phones that would soon leave the faithful old BlackBerry looking like two-stroke lawnmower lining up for a Formula 1 race. There was a half-hearted attempt to keep up, but BlackBerry, for some reason, just didn’t fancy it. There was a huge army of followers keen to cling on to the faint memories of the inner joy they once revelled in as their BlackBerryless colleagues turned puce with jealousy, so the Ontario-based firm stayed faithful to them for a few years. An update here, a revival there. It went on for a few years but, alas, the boardroom could see the horizon closing in and decided it was time to regroup. Eventually, it was announced they wouldn’t be making any more mobile phones. A period of mourning ensued which was briefly observed. But then Samsung went head-to-head with the iPhone again, and all was quickly right in the world once more. Well, that world, or certainly a different part of it, can rejoice once more. 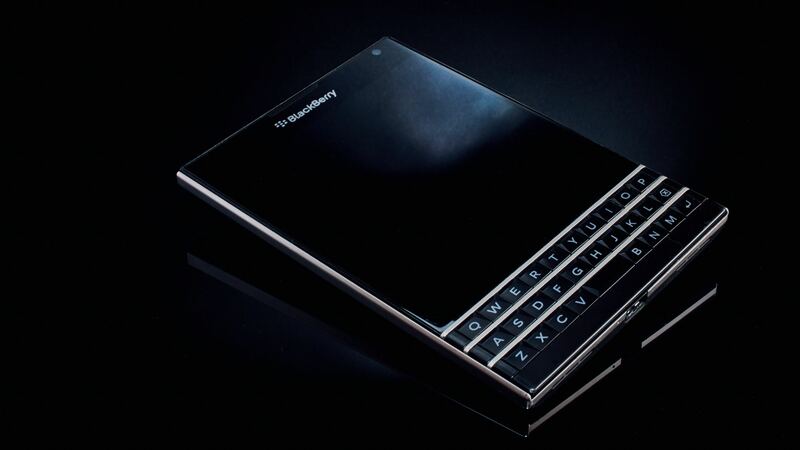 BlackBerry is back. And this time, there isn’t a handset in sight. BlackBerry has reinvented itself as a software firm. Largely viewed as a decision which was brave at best, reckless at worst; the risk looks to be paying off handsomely. At the end of September, BlackBerry Ltd reported a record revenue and sent its shares soaring as investors tried their hardest to catch them. Analysts across Canada and further afield had expected little change out of breakeven for the firm that put the small town of Waterloo on the map when it started making phones. Suddenly, that ‘breakeven’ call was way off the mark. $26m off the mark, to be precise. On the strength of its remarkable growth, software and associated revenue services punched through to $196m, largely thanks to a partnership with the UK’s Delphi Automotive – one of the leading firms developing self-driving vehicles. BlackBerry’s CEO, John Chen, has pointed to the company’s impressive reputation for security which has led to many big businesses placing their faith in its software venture. In particular, he cited several large contracts with the US government and federal agencies which have led to the successful comeback. The profit announcement coincides with the launch of ‘BlackBerry Secure’ – a licensing deal with Chinese smartphone manufacturer NTD that will see BlackBerry’s well-regarded security software embedded, for a fee, into its devices. Chen says he anticipates this aspect of the company’s new direction to seriously take off over the next 12 months. “I don’t see a limit to my ability to license software technology,” he said, before confidently stating the firm would soon be looking at mergers and acquisitions as it flexes its muscles in the software arena. It’s worth noting that BlackBerry is still sitting on a massive $1.9bn war chest, largely the result of a payoff from a lengthy dispute with US telecommunications giant Qualcomm. “We’re going to make acquisitions, but we’re very patient, and we don’t want to be overpaying,” he added. When asked about the deal with Delphi, and the future of self-driving cars, he explained that he doesn’t quite think that the widespread roll-out of driverless vehicles will happen as swiftly as industry experts are predicting, but he was working hard to ensure BlackBerry would be ready to roll as soon as it is required. “Everyone seems to be saying it’ll be 2021, but I’m not sure I believe it,” he smiles. With a Canadian financial year typically ending in February, BlackBerry has also upgraded its outlook for the year to somewhere between 10 and 15%. That would place the company on track to post year-end revenue anywhere between $920m to $950m, and no doubt positive free cash flow. It may still be early days yet, but that would signal a remarkable comeback for a firm which many thought had dropped off the radar.